Let 1 package Pillsbury™ Ready to Bake!™ refrigerated sugar cookies stand at room temperature until needed. 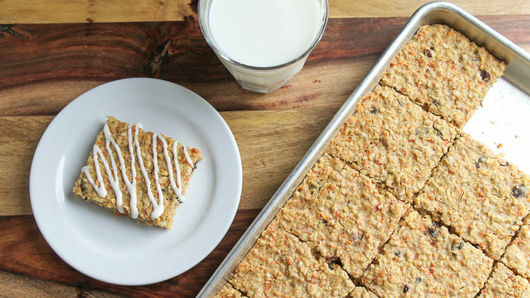 Heat oven to 375° F. Spray 1/4-size sheet pan (9 1/2 x 13 x 1-inch) or 13 x 9-inch pan with cooking spray. Break up cookie dough into large bowl. 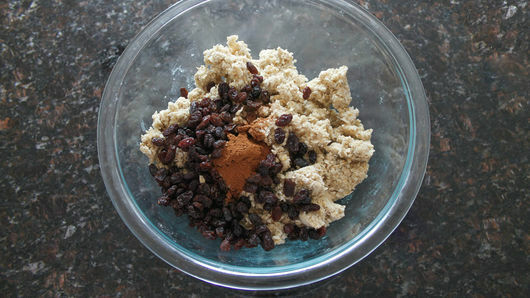 Add 1 3/4 cups quick-cooking oats, 1/2 cup raisins and 1 teaspoon ground cinnamon; mix until well blended. 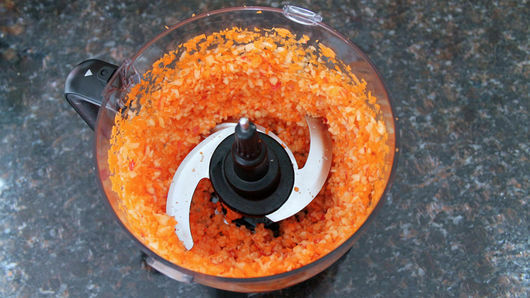 In food processor, pulse 3/4 cup chopped carrots for 15 seconds. Add 2 cups chopped Honey Crisp apples; pulse 15 seconds. 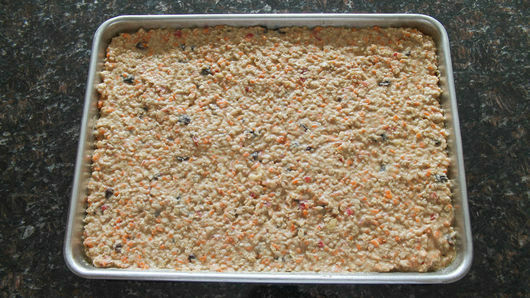 To cookie dough mixture, add carrots, apples and 2 eggs; stir together until well mixed. Pour batter into pan. Bake 30 minutes. Cool at least 10 minutes. 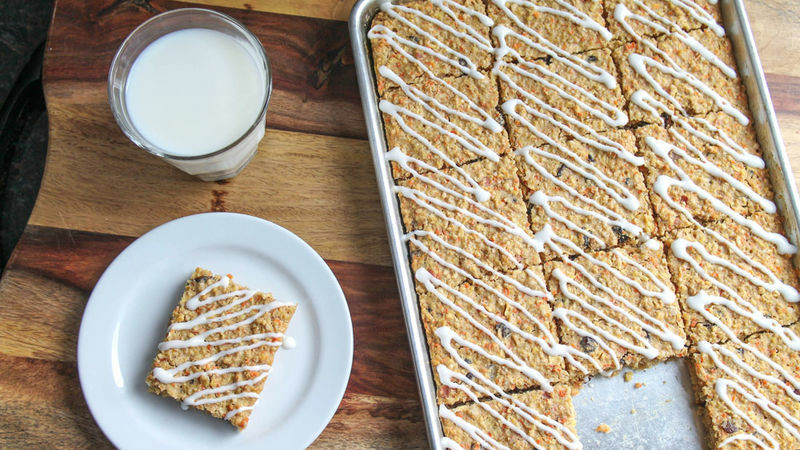 For bars, cut into 5 rows by 3 rows. To make a cream cheese icing, beat 1 1/2 oz cream cheese, 4 teaspoons cold milk and 3/4 cup powdered sugar until smooth. Use a cheese grater if you don’t have a food processor. If you use a cheese grater, you don’t have to chop the apples or carrots first.